1.4 A Play Games requirement? While it may not be true for most regular users, there are some of us that open the My Apps screen fairly often. Over the years, there have been a lot of feature requests for things like sorting options, searching our previously installed apps, filtering for paid apps, and many other features. Some of the requests have become reality, but many have gone unanswered. Now it looks like there may be a revision to the My Apps screen on the horizon. New layouts have been added in the v7.4 update with a distinctive "v2" in the name. Rewritten layouts aren't necessarily special in Google apps – it happens pretty often – what matters is that they also contain the groundwork for changes. At the moment, there's only one notable addition, but it's one people have wanted to see for a long time: Sorting. The standard options will be available, including alphabetical, last updated, last used, and size. As you might expect from the existence of the last used method, the Play Store will soon reveal that information, as well. This will obviously be handy for picking out apps that can be let go if they're not getting any use. There are also new strings for relaying the last time an app was updated. However, it's not entirely clear if these reference the last time the app was updated in the Play Store or if it's counting when the update was actually installed to your device. Detail pages for apps already display the last time a new version was pushed to the Play Store. If there's a rewrite in progress, it's not unlikely that we'll see more than just new sorting options and another field of data. There may be many features, and possibly a new visual treatment in store for us in the future. This one is (probably) for the developers out there. If you want to see how an app is doing over time, Google is going to add a selector to see how the reviews have been going over the last 30 days, 3 months, or 6 months. With the launch of the Family Library, Android users were able to begin sharing purchases with other members of their household. As part of the deal, the head of the family has to place a payment method on file that can be used by any member of the group. 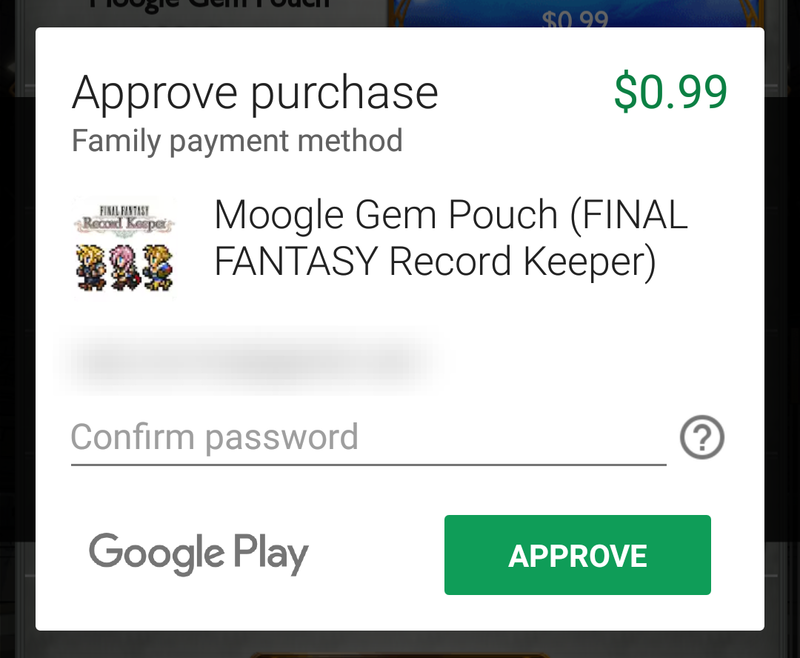 To mitigate potentially expensive spending sprees that tend to happen with certain types of predatory games, the head of the family can require authorization from users before they can spend money on in-app purchases, and if the family member is under 18, all purchases can be locked down. Unfortunately, the entire workflow currently takes place on the device where the purchase is to be made. This means the head of the family has to be in the same place as the buyer and must enter their personal password on the buyer's device. It's not ideal, to say the least. These screens appear on a device when a purchase needs authorization from the head of the family. It was only a matter of time before Google moved to simplify things, and it looks like things are in motion. New strings and layouts describe an interface that will present requests to the head of the family on their own devices. Each request can be approved or denied one-by-one, or the entire list can be approved in single action. A similar screen is also available to other members of the family to show a list of the purchases they're asking to make. The key benefit to this is that the head of the family will no longer have to be in the same physical place as the device where the purchase is to be made, which is obviously important if a family member is traveling or simply away from the house for a while. It's also potentially important that requests are going to be stacked in a pending queue and await the head of the family to approve or deny them. What isn't clear is what happens on the buyer's device, and that's where things get interesting. It's certainly possible that users will sit at a waiting screen while they hope the head of the family is quick to respond, but that's a very inelegant experience. Alternatively, the purchase process could be altered to allow the request to be sent off to the head of the family while the buyer continues using the app. This would certainly be preferable for everybody, but it may require some changes to the in-app purchase API, which also means developers will have to update each app to handle this process. If these updates are necessary, it might explain why this functionality wasn't offered at launch time – developers would have needed more time to prepare for changes to the API. The final topic of this teardown is probably a non-story, but it sparked up a little bit of wild speculation and I thought it might be interesting to bring up anyway. A new line of text shows that there's going to be some kind of action in the Play Store that will require users to install the Play Games app before proceeding. At this point, there's no hint about what the action might be, so we're left to theorize the purpose. The Play Games app basically serves three purposes: discovery of new games, viewing leaderboards and achievements, and recording gameplay videos. There's also another feature on the way, a video manager, but it hasn't launched yet. It's certainly possible the Play Store will include a button to redirect users to the Play Games app for one of those features, but it's hard to imagine that it would be for discovery if the Play Store is already pretty good at that, and it seems like a weird place to promote recording of gameplay videos. That leaves the achievements and leaderboards, but those don't need the app because Google Play services already provides the necessary tools to offer a similar view inside the Play Store. Of course, the counter argument is that it's just easier to point to another app. Two theories evolved. The first is probably pretty basic, but it might make the most sense. Google may be planning to build out the social features of Play Games. This could take inspiration from successful examples like Steam, which makes a bit of sense after Google transitioned away from accounts based on Google+ to a basic Gamer ID. 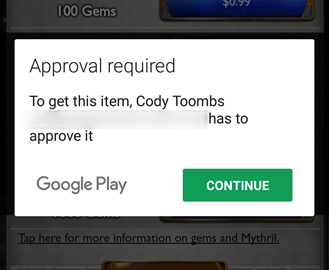 This would encourage users to tap a button or link in the Play Store and immediately reach a potentially vibrant community of players focused on a game. My second theory is a bit hair-brained, but it's a novel approach. I considered the possibility Google may be developing new APIs that aren't just for latent features like cloud save, but fundamental components for building games. I don't want to go so far as to imply a game engine could be distributed in this way, but it might not be impractical for Google to push some shared libraries. This would allow developers to shrink their apps and take advantage of regular bug fixes. Again, these are wildly speculative possibilities and the truth is likely far less interesting; but for lack of any more details, it's fun to explore the crazier side of what might happen.